QUANG NINH (VNS) — Quang Ninh People's Committee Chairman Nguyen Van Doc has asked local authorised agencies to finalise the plan to transport 38 captive bears to the Viet Nam Bear Rescue Centre before April 20. 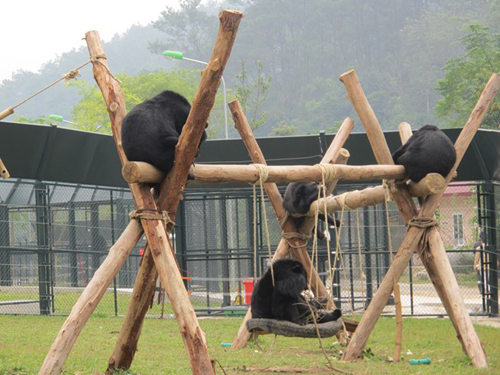 The move came after Deputy Prime Minister Hoang Trung Hai ordered the province to hand over all captive bears to the centre for care in late March. The People's Committee's office was asked to quickly organise a meeting with representatives from the agriculture and rural development ministry, the Viet Nam Bear Rescue Centre and relevant agencies.